So, this is basically a cheating recipe. No, it won't cheat your diet, but might be cheating on my part to call it a recipe. 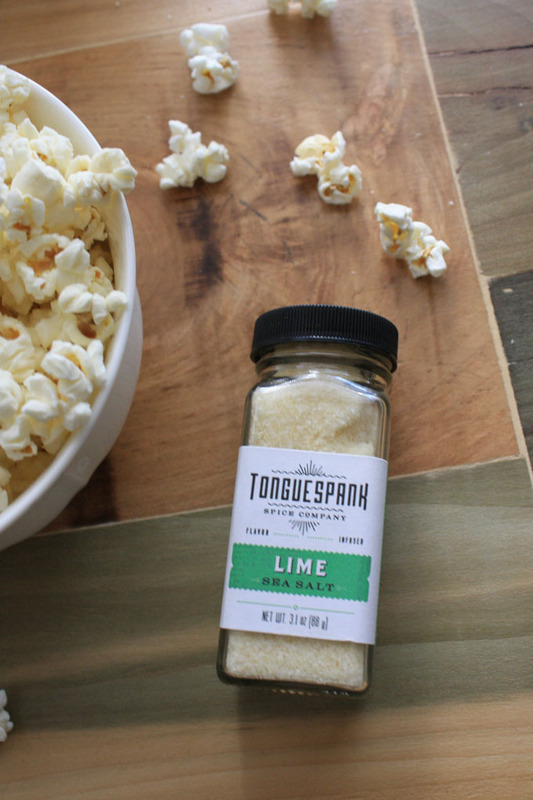 I have to say that the genius idea to add some Tonguespank Lime Sea Salt to my regular popcorn snack came to me rather organically. 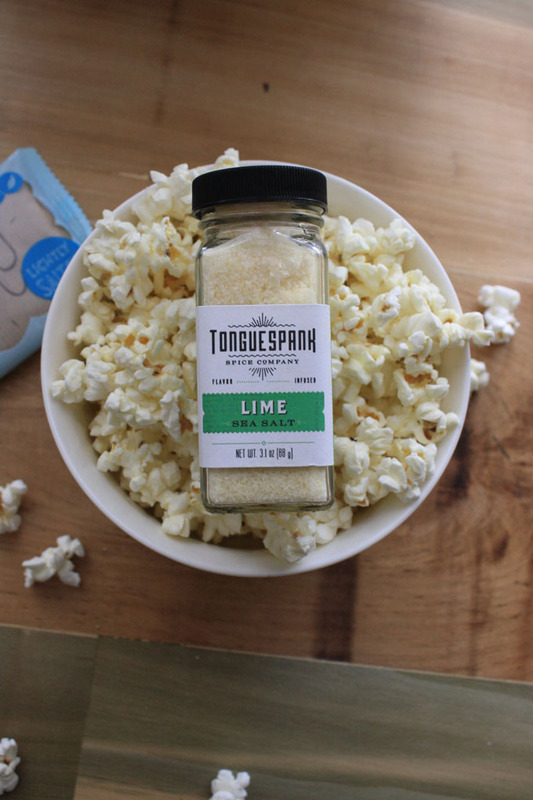 I didn't plan this post or really even try to stage it, but as I was munching on the popcorn, I realized that I would be crazy not to share it with you...especially since you can get $2 off of this salt right now with the code "LIME" at checkout. It turns out that your Tonguespank lime sea salt is good for lots of things: drink rimmers, marinades, and now, snacks! Just add a bit of salt to your favorite lightly salted (or no salt added) popcorn. 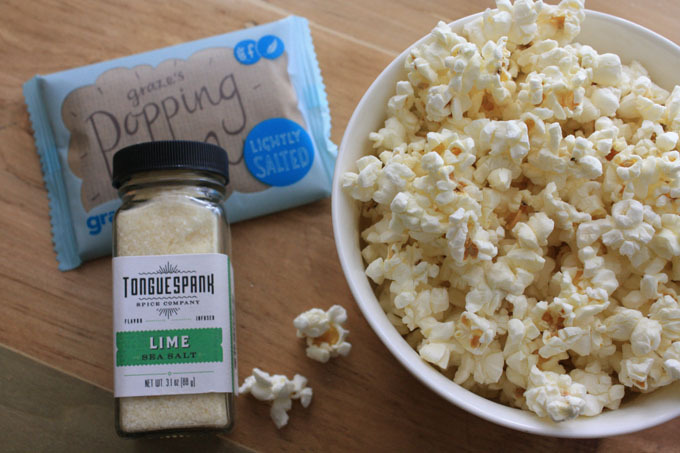 I love mine from Graze, but use whatever popcorn you have available...just don't forget the lime sea salt! P.S. Get your first and fifth Graze box free by clicking here! Thanks to Tonguespank for sending me a their Lime Sea Salt to try. Although I received product and compensation for this post, all opinions and snacking recommendations are my own. Yum! I love lime ANYTHING - so I need to give this a try!